The aromatic wood of the sandal tree has long been used for the blessing reliquaries and sacred objects. 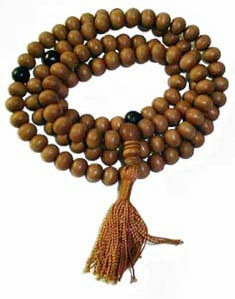 Sandalwood is considered universally auspicious for all spiritual practices. Counting mantras with this fragrant rosary will scent the fingers and may inspire a closer connection to the teacher or the deity.